The U.S. Justice Department has finalized a new rule that will allow the Drug Enforcement Administration to reduce the amount of opioid pain medication a drug maker can produce if it finds the opioid is being diverted or misused. The controversial change in the opioid production quota system was adopted despite warnings from patients, doctors and drug makers that it targets the wrong the problem and could worsen shortages of some pain medications. The DEA maintains the rule change will “encourage vigilance” on the part of opioid manufacturers to prevent their drugs from being abused. The final rule greatly enhances the roles played by states and other federal agencies in setting opioid production quotas. 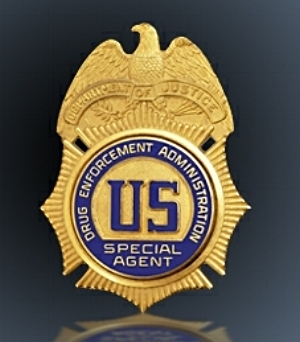 It requires DEA to share proposed quotas with state attorneys general, who could object to a quota and demand a hearing. The rule also allows DEA to consider “relevant information” from all 50 states, the Department of Health and Human Services, Food and Drug Administration, the Centers for Disease Control, and the Centers for Medicare and Medicaid Services, before setting a quota. "DEA must make sure that we prevent diversion and abuse of prescription opioids. Today's new rule, by taking diversion of these opioids into account, will allow the DEA to be more responsive to the facts on the ground. More importantly, it will help us stop and even prevent diversion from taking place,” said Attorney General Jeff Sessions. Sessions announced the proposed rule changes in April, and DEA received over 1,500 public comments during an unusually short comment period. A clear majority opposed the new rule. “This does nothing to stop addiction or overdose deaths. Addicts will find a high anywhere and where they find it now is street drugs! Illicit drugs are what’s killing, not doctor prescribed opioids filled at a pharmacy. The reporting you all are using is inaccurate and false,” wrote Amy Vallejo. Many hospitals and hospices now face a chronic shortage of intravenous and injectable opioids, which are used to treat patients recovering from surgery or trauma. The shortage has been primarily blamed on manufacturing problems, although some critics say it has been worsened by the DEA production cuts. “I believe Attorney General Jeff Sessions needs to sit down and talk to some of these physicians who are pain specialists and understand that what he’s doing is going to put the chronic pain patient, the post-operative patient, and the patient that comes to the emergency room in serious jeopardy,” Tony Mack, CEO and chairman of Virpax Pharmaceuticals, told PNN in an earlier interview. The agency also deflected criticism that it was targeting the wrong problem. Recent studies indicate that overdoses involving illicit fentanyl, heroin and other street drugs now outnumber deaths linked to prescription opioids. “The DEA acknowledges that prescriptions for opioid drug products have decreased over the last several years due to the stepped up civil, criminal, and regulatory enforcement efforts of the agency. However, while there is a downward trend in prescribing, these Schedule II prescription opiates continue to have a high potential for abuse and dependence and require the annual assessment of quotas,” the DEA said. The agency also claimed prescription opioids were “inextricably linked” to overdoses from heroin and illicit fentanyl, because many addicts start by taking pain medication from family medicine cabinets and then move on to street drugs. The DEA statement defies some of its own analysis. Less than one percent of legally prescribed opioids are diverted, according to a 2017 DEA report, which also found that admissions for painkiller abuse to publicly funded addiction treatment facilities have declined significantly since 2011, the same year that opioid prescriptions began dropping.